Hi, Thanks I'm glad you like it. It would take me a bloody long time to try and built it all again though lol. What you can do is download the map and use mcedit to paste the town and whatever else you like onto your server, or just use the world as your server and build other things on it. Also feel free to send me the server IP if you want me to come check it out sometime. you whouldnt by chance have a version where there are no sponges and chest ect ect all over the place whould you? No sorry, you can also use mcedit to select the whole map and replace sponge with wooden planks and Cyan wool with stone bricks. 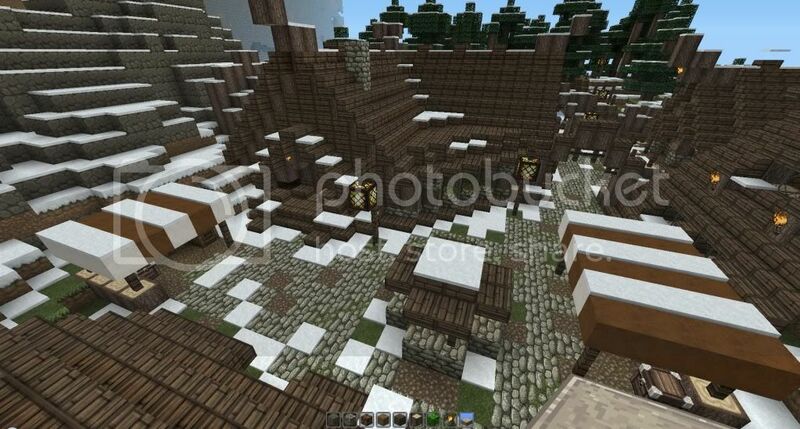 Im waiting on 1.2 for all the new stuff too so I can build some new things for the map. Haha it's fine, I built the map so people can enjoy it how they want, only thing I'm against is people trying to claim others work as there own. This is (and has been for a while) one of my favorite medieval worlds. I really like how you kept a city-like feel while still adding gardeny touches like the hedges, vines, and planter boxes, plus lots of little park areas. I also am impressed with the effort spent on interior decoration - something many builders skimp on. Thank you so much for the kind words and rep. Eventually I should get around to decorating the rest of the interiors in the city. Added a Download for the new map with the Towns and everything pasted on them. 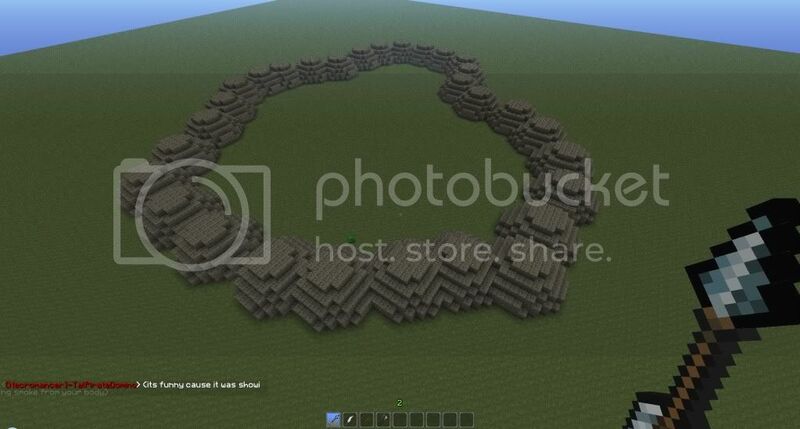 This version will be better for server owners who want some room to build there own creations. 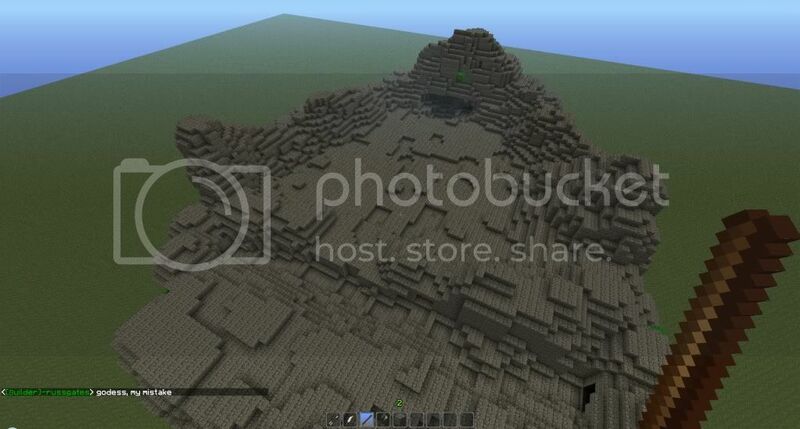 I'm not sure how the map will be for survival, I haven't checked if ores have been generated in. 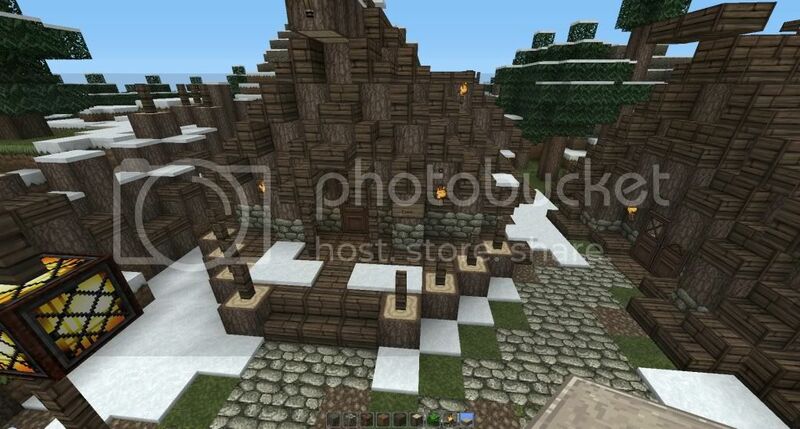 Also a little preview of my first attempt at a nord style village for when i do the snow biome. God dammit, thanks for pointing that out lol, i could have sworn I did a testplay of everything before i uploaded the map. Guess i missed that dungeon. I'll be sure to fix that next time i do some work on the map. for letting me know. I always see medieval maps that just look the same, or they have weird colors or something. But this is just perfect. For any texturepacks above the default 16x16 resolution, you need to patch your game so the lava/water animations work and so bricks and a couple of items don't look wierd. Its pretty easy to use and instructions on how to use can be found in the thread. I tried to keep the town nice and bright to look at, even though medieval is known for its bleak style. 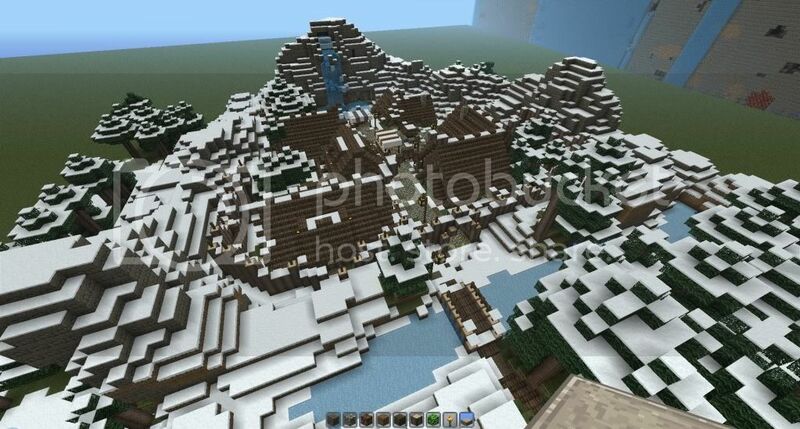 and, that nord vilage thing: HOW THE HECK DID YOU MAKE THAT MOUNTAIN URSELF!!! you are officially my hero! I custom terraformed the whole map, I used worldpainter to make the whole continent, and then i use worldedit to create the more detailed area's in game. In not fantastic at it, but i just picked up what i needed to know from youtube tutorials lol. Would be awsome to see my town populated with an npc mod too!